Tragedy struck recently in Miramar when a 9-month old baby girl was killed by a pit bull. The horrific incident happened in the girl's grandmother's house while under her care. The baby was mauled to death while sitting in a bouncy chair and was pronounced dead at the scene. The 3-4 year old dog was a family pet that had been in the home since a puppy. The animal was removed from the home by the Broward County Animal Care and Adoption Division, along with 2 other pit bulls. At this time it is unclear whether any of the animals will be euthanized. Pit Bulls Responsible for Most Fatalities by Dogs in the U.S. According to dogsbite.org, an average of 33 people are killed in the U.S. each year by dogs. Two-thirds of those fatalities are caused by the pit bull terrier breed. 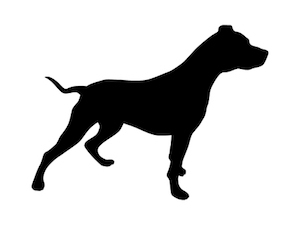 Although Florida counties are prohibited from banning certain dog breeds, that was not the case 29 years ago when Miami-Dade County banned pit bull ownership; more recently, that ban was upheld in a 2012 vote. The penalty for having a pit bull in Miami-Dade County is $500. Many pit bull fans claim that dog owners are to blame for aggressive behavior due to training, for example, as guard dogs. However, there is no escaping the fact that in this tragic case, a pit bull brought up as a family pet from a puppy turned aggressive and the result was the baby's death. Florida is one of many states that has adopted a "strict liability" dog bite statute. This means that the dog owner may be held liable if the dog bites someone - even if the owner had no warning or prior knowledge that the dog might bite. In other words, the strict liability standard holds that the dog owner may be responsible for injuries or death caused by the dog's bite even if the dog never bit anyone before, or exhibited aggressive behaviors such as growling. If you or a family member has suffered an injury from a dog attack, including but not limited to nerve damage, torn flesh, physical disfigurement and scarring, lacerations and other physical injury, please let us help determine if another's negligence was the cause of the harm. We will work hard to secure justice for you to obtain compensation under the law for injuries and damages suffered. If you or a family member has been harmed by a dog bite, a truck accident, bus accident, car accident, slip and fall or any other type of personal injury, please contact the Law Offices of Diana Santa Maria, P.A. immediately. Our experienced attorneys will fight for the compensation you deserve. Please call us for a free consultation. Attorneys Diana Santa Maria and Laura D. Dolin, personal injury attorneys in Fort Lauderdale, will fight to secure justice for you and your family. You can reach us at (954) 434-1077 or contact us via the website.